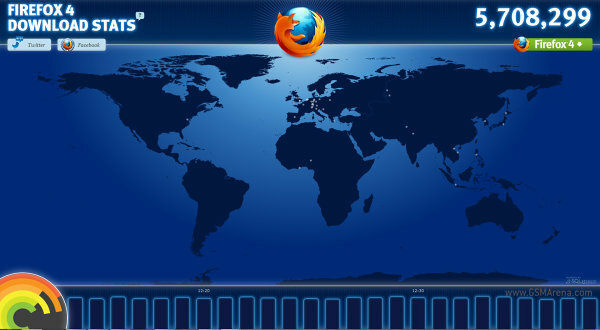 Or you could just stare at the world map – there’s a flash of light on the map every time someone downloads Firefox 4. You can also view the number of downloads per minute, per country and all the way down to city level – check it out. The western hemisphere is mostly asleep at the moment but downloads in Europe are going full swing. As far as per-continent downloads go, Europe accounts for over half of all Firefox 4 downloads at the moment with North America coming in a distant second. And you can check out how many times your fellow townsmen have downloaded Firefox 4. Not that it’s a competition or anything. If you’re interested, you can download Firefox 4 from here.